The last and smallest stage of branching airway tubes in the lungs. The bronchioles are microscopic and end in air sacs called alveoli. 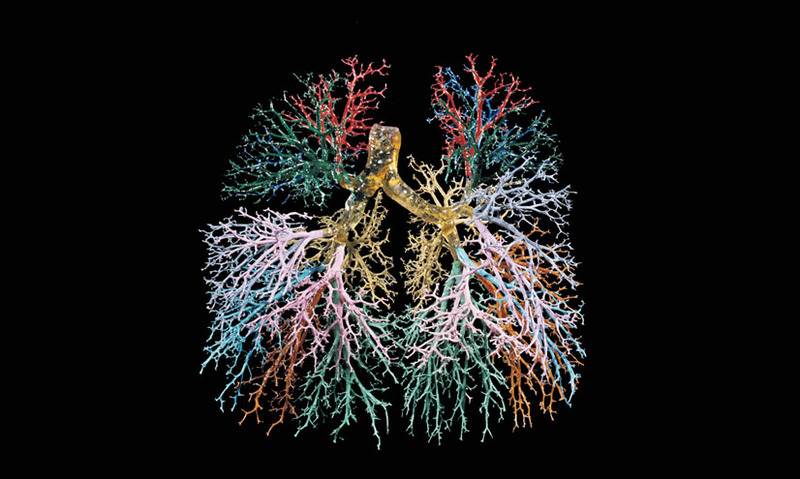 The last and smallest stage of branching airway tubes in the lungs. The bronchioles are microscopic and end in air sacs called alveoli. Unlike the larger airways, the bronchioles do not contain cartilage. Inflammation of the bronchioles can occur due to viral infection, and is called bronchiolitis. Other diseases affecting the bronchioles include asthma and influenza. Unlike the larger airways, the bronchioles do not contain cartilage. Inflammation of the bronchioles can occur due to viral infection, and is called bronchiolitis. Other diseases affecting the bronchioles include asthma and influenza.